Gardaí set up Operation Vantage two years ago to tackle sham marriages. A TOTAL OF 450 marriages have been halted in Ireland since the introduction of sham marriage legislation. Gardaí set up a dedicated operation – codenamed Vantage – two years ago to tackle an alleged trafficking ring which was using women who had been trafficked illegally into Ireland to take part in sham marriages. Since the operation was set up in August 2015, General Registrar Offices can alert gardaí if any doubts arise about the legitimacy of any potential marriages. The latest figures from An Garda Síochána show that since August 2015, there have been more than 250 objections to marriages raised by registrars. Gardaí confirmed that over 80 marriages have been cancelled by the General Registrar and An Garda Síochána following enquiries and investigations by Operation Vantage. When “no shows” on the date of the ceremony are added to the picture, an excess of 450 marriages have not been completed since Operation Vantage was launched. “Operation Vantage has supported the marriage registrars in compiling a large number of marriage objections,” a garda spokesperson said. “[It] also supports interview training and investigative techniques to the registrars. The crackdown has also resulted in a fall in the number of notifications of intention to marry between EU and non-EU citizens. Figures from gardaí should that 1,468 notifications were received in 2015. Last year a total of 694 notifications were received, this shows a drop of 53%. Levels have continued to fall in 2017 with notifications recorded in January to September 2017, compared to 580 during the same period of 2016 – a drop of 41%. 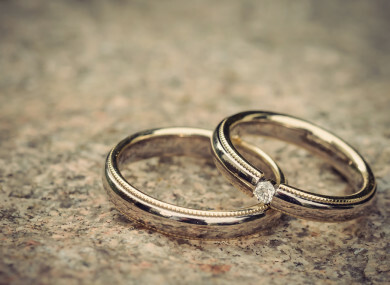 Security sources told TheJournal.ie earlier this year that there were ‘hundreds’ of attempted sham marriages in recent years involving the women, who are EU citizens, and men who are predominantly from Asia and seeking to secure residency in Ireland. The illegal activity mostly comes from countries such as Estonia, Latvia and Lithuania. In many cases, the women do not where they are and many have never even seen the men they are marrying. Email “Over 400 sham marriages halted by gardaí following 2015 crackdown ”. Feedback on “Over 400 sham marriages halted by gardaí following 2015 crackdown ”.